In August of 1966 a young man and bartender of the Ivy Inn was offered the opportunity of a lifetime: to buy the business. At just 25 years old he was not prepared financially to make that purchase. Through the help of his family pooling together whatever money they had set aside, the bar was acquired. And so began a family business that continues to this day. That young man was L. Richard ‘Dickey’ McCluskey. The bar was located at 254 Nassau Street, the current home of Small World Coffee. 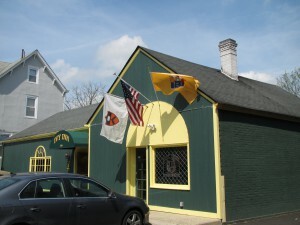 In June 1973, through hard work and dedication, Dickey was able to purchase the property at 248 Nassau Street and move the bar to its current home. The amount of booze dispensed since then is currently registered with the Guinness Book of World records. Just checking to see if you’re paying attention….the former is (unfortunately) not accurate. 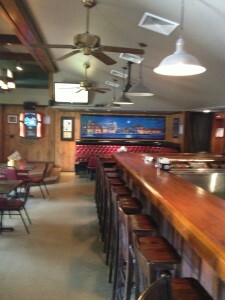 Long known as a ‘shot and beer joint’ Dickey catered to the working men and women of the area for the next 20 years. Known for his extreme generosity and big heart Dickey always tried to keep his pricing as reasonable as possible; a 40 cent draft beer was offered well into the 1980’s. Dickey was also an avid sports fan and for 30 years sponsored countless athletic teams throughout Mercer County. So much so, that in 1996 he was inducted into the Trenton Softball Hall of Fame. Want to know why the Ivy’s colors are green and gold? Dickey was a life-long Green Bay Packers fan. Dickey died on May 25, 1996 at the age of 55. His sister, Michele ‘Mickey’ Ryan a life-long nurse became the owner. Knowing little about the business, she delegated the responsibility of operations to her son Richard ‘Richey’ Ryan. Acutely aware of the importance of giving back to the community we serve, we have long supported local non-profits including: the Sunshine Foundation, St. Baldrick’s, Toys for Tots, Angel’s Wings, HiTops, Christine’s Hope for Kids, and most recently Good Grief. Today the Ivy Inn attracts a loyal, growing and diverse clientele whom we are proud to serve and call our friends. We hope that one day you’ll feel the same. 1966 – L. Richard ‘Dickey’ McCluskey, a 25 year old man acquires the Ivy Inn. 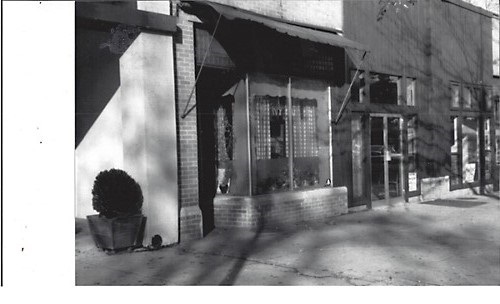 1973 – Through hard work and dedication, Dickey was able to purchase the property at 248 Nassau Street. 1975 – After renovations were completed, the Ivy Inn as you know it today opened its doors. 1996 – Dickey inducted into the Trenton Softball Hall of Fame. Just one month later Dickey died on May 25, 1996 at the age of 55. His sister, Michele ‘Mickey’ Ryan a life-long nurse became the owner. Knowing little about the business, she delegated the responsibility of operations to her son Richard ‘Richey’ Ryan. 2013 – January 21st the kitchen opens to overwhelmingly positive reviews. With the help of Jacqueline Baldassari we acquired two well respected long-time Princeton based chefs. Concentrating on quality, fresh variety while holding the line on pricing; the future looks like ‘going up,’ literally, is the logical next step.